Why is my Karcher Pressure Washer Hunting? 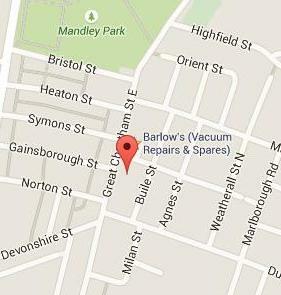 J Barlow Servicing Ltd work with all pressure washer appliances to provide pressure washer repairs in Stretford. Our repairs and servicing ensures that the pressure washer is in great condition and has high performance during all use. If you notice your pressure washer’s performance dropping or beginning to wear, our service can restore its best condition. We also offer free estimates for all the services we provide, no matter what repairs you require. You will be left fully satisfied by all work we complete and we can find a quick solution to all problems that your appliances have. You should always use professional servicing, ensuring replacements are not required and you can keep costs low. Whilst we can repair and service many appliances, your pressure washer should always be kept in good condition to maintain the highest performance during use. We offer a comprehensive service to evaluate every aspect of the pressure washer and will also run a full diagnostics to identify any potential issues within the appliance. Diagnostics will be completed once the appliance is stripped down so all components can be accurately assessed. We use only the best equipment throughout our servicing to ensure the highest standard of work. We also have hundreds of spare parts available, so whenever you require replacement components, this can always be made. If spare parts are required, we will discuss with you before installing to ensure it is within your budget. Spare parts are not always required and often, regular servicing will be enough to maintain the pressure performance and prevent you from making large payments. Our pressure washer repairs are available for all models including Kew, Alto, Nilfisk, Karcher and Powercraft. If you have a different appliance model, we are happy to advise you on whether repairs can be made and if we have the correct spare parts in stock to be installed. Regardless of why your pressure washer requires repairs or servicing, we will always restore its original condition and complete a thorough test to ensure it is ready to use again. Stretford is a large town in the county of Greater Manchester. With a population of over 46,000 people, it is located just 3 miles away from Manchester City Centre and is a popular area for both locals and visitors, as it is located next to the home of Manchester United Football Club, Old Trafford. We can easily travel into the Stretford area, being located just a short drive away. Pick up and delivery is always available for clients here. As well as Old Trafford, there are several landmarks and attractions located in Stretford that make it such a popular area. Some of the most well-known points of interest in the area include The Trafford Centre, Imperial War Museum North, Victoria Park and Lostock Park. There are many historic landmarks and fantastic attractions located throughout the town, perfect for visitors and the locals. Since being established in 1979, J Barlow Servicing Ltd have always provided our services throughout the Stretford area. No matter what services you require, we will offer a fast response to book any servicing and the pickup of all pressure washer appliances. Clients in Stretford can always depend on our team for the highest standard of service, as we aim to build our client base here and be the first choice for all pressure washer repairs. J Barlow Servicing Ltd was established in 1979 and since then, we have built a fantastic reputation for the high standard of service we complete in Stretford and the surrounding areas. Our team has over 40 years of experience in the industry and with all work being fully guaranteed, you can depend on us for all pressure washer repairs and servicing that you require. We offer free estimates for all our services as well as a free pick up and delivery. We also complete PAT testing where applicable and will always find any issues with your pressure washer. Our repair service will restore the appliances condition and maintain its performance. This could save you money in the long term for future repairs or complete replacements and with competitive prices, our service is always the best option. Our team have gained several qualifications whilst working in the servicing industry and always want our clients' mind to be at ease. Just some of our qualifications include HNC Electrical & Electronic Engineering, City & Guilds Electronic and City & Guild Inspection & Testing. If you would like to book pressure washer repairs in Stretford, do not hesitate to contact our team. J Barlow Servicing Ltd offer the highest standard of service and will answer all enquiries, giving you the detail and information you require. Speak to us today and call now on 0161 792 4118 or fill in our contact form for a fast response.